Dash is badly behaved at puppy school, he chews things that he shouldn't, he makes puddles on the floor, he wrecks the garden, and he steals food off the bench when no one is looking. Perfectly standard puppy behaviour. But Dash is far from an ordinary pet - and his inquisitive nature and insatiable appetite get him in all kinds of trouble. “My dog Dash wasn’t very well behaved at puppy school…” But even though it took a while he got the hang of it especially “Sit” and Stay!” “Fetch’ is problematic though. Just like every dog, Dash loves to explore the wonders and beauty of the park- each leaf, every flower, every stick- so a walk can be slow-going. He steals food, wrecks the garden and even chews through books! And like most puppies, he slobbers a bit, leaves puddles and makes a mess which makes mum cranky so he hides for a while until he thinks he’s forgiven. But when he goes missing one dark night, the whole family is involved in the search… Perhaps he’s not such a nuisance after all. From the creator of The Naughtiest Reindeer (http://thebottomshelf.edublogs.org/2015/12/11/the-naughtiest-reindeer-at-the-zoo/) comes this delightful, whimsical, hilarious story that is not what you would expect! If you were ever looking for a need for children to look at the detail in the illustrations or trying to persuade parents that pictures can tell more than the text, then this is it. 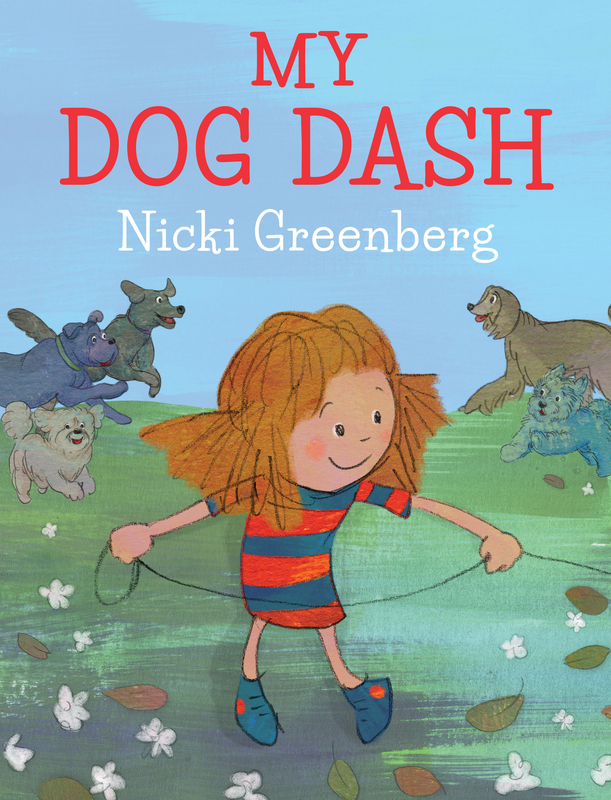 If you read this interview with Nicki Greenberg (http://www.kids-bookreview.com/2016/04/10-quirky-questions-with-nicki-greenberg.html) you will be treated to her quirky sense of humour and understand how she can create such perfect books for children that will engage them again and again and again. This is such a fun book to be shared for the joy of sharing and hearing, and could be the answer for all those children who want puppies.